Serial killer, trailer park, trusting the wrong person - you got me interested. Also, she can taste emotions and figure out codes. 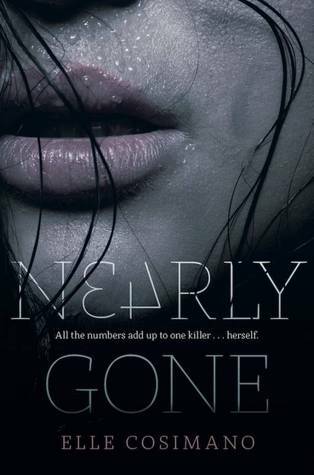 If the cover is anything to go by, this will be nailbitingly suspenseful and bloody. Also, have you noticed that tagline on it? "All the numbers add up to one killer... herself." Yup, I want this. I did not notice that tag line! I guess that explains what the undercover police officer is doing at her school. Nearly Boswell sounds like quite a cool main character. I shall have to watch out for this one come March. Cool pick, thanks honey! This one really sounds good! I will watch for it. Ooh yes! this sounds so good. Yes! I can't wait for Nearly Gone. The cover is so striking too!